Health, mental health and substance abuse problems often are more apparent in jails and prisons than in the community. Incarcerated men and women are often diagnosed with health, mental health, and substance abuse problems after receiving care from a correctional health provider. Includes chronic and infectious disease information, links to corrections and public health departments, and correctional system overview. 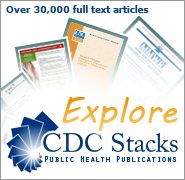 Find corrections-related journal articles by CDC authors from 2000 to the present. Disease topics include HIV, MRSA, TB and Hepatitis. Find the latest statistics on the medical problems and other conditions reported by prison inmates. Links to federal web sites that are related to health and the justice system. Find CDC's guidance on the prevention, care, and treatment of infectious diseases found in correctional settings. Find brochures and facts sheets on infectious diseases and Traumatic Brain Injury for patients and professionals. Links to professional organizations, international resources, journals and publications.